Howard Akers, Brooks County School’s CTAE director, and Tammy Akers, Quitman Elementary’s Speech teacher and one of the Bee Keeping club sponsors, drove to Perry, Georgia late one evening to pick up four hives of honey bees for Quitman Elementary’s Bee Keeping Club. Transporting the bees at night keeps the bees calm. The four hives of honey bees total approximately 2000 bees. The QES Bee Keepers are taking good care of their bees. They pull the frames weekly to check on the bees to make sure they are healthy. The students did extensive research to be prepared for their school’s new arrivals. The bees must really like their new home! After being here for only a week, the bees have started to make combs and produce honey. 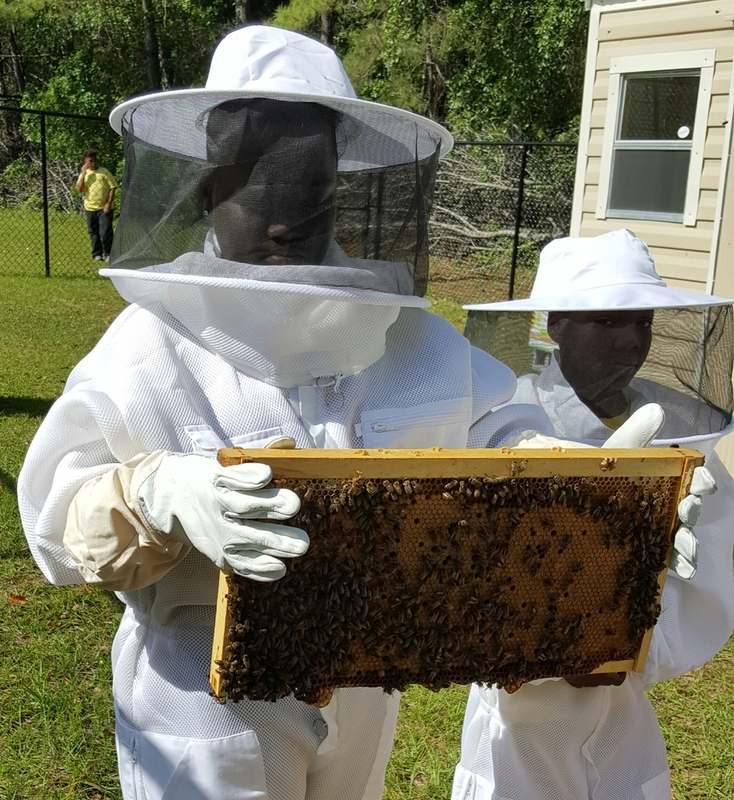 Pictured are QES students Dylon Jennings and Mckayla Williams checking to make sure the bees are happy and healthy.